Posted on October 29, 2018 by Smorgasbord - Variety is the Spice of Life. I know that many of you who follow the blog will have seen the arthritis posts before but it is now two years since these posts and for those new to Smorgasbord, I hope you find useful. There is no doubt that for most people once they are into their 50’s they might experience pain associated with movement. We tend to think only in terms of two types of arthritis. Rheumatoid and Osteo- Arthritis but as you will see that is not the case. To be specific there are nearly 200 different forms of arthritis but the most common that we suffer from, particularly as we get older are Rheumatoid, Osteo and gout. I will cover Osteo- Arthritis and Gout week. Although my main focus is on the foods to avoid and those to include in your diet, I will in the next posts talk about some of the alternative therapies that may help this condition. First let’s talk about the most common of the arthritis conditions. Rheumatoid Arthritis is an auto immune disease in which the joints, usually those of the hands and feet are inflamed. (Arthritis comes from the Greek word ‘arthron’ which means joints). This results in swelling, pain and often the eventual destruction of the joints interior. I am sure most of you have heard of James Coburn the actor. It was obvious; as he appeared in films as he got older, that he was suffering from the disease. His hands became very deformed and he suffered from the problem in most of the joints in his body.In fact in his case it was hereditary as his father suffered from the same condition. Rheumatoid Arthritis is the most common inflammatory disease and is suffered world-wide and affects approximately 1% of adults. It is usually accompanied by extreme fatigue, weight loss and in many cases depression. People can suffer from it in a mild form for many years and never reach the crippling stage as in James Coburn’s case; but millions do have to put up with symptoms that can be anything from discomfort to extreme and constant pain. With this form of arthritis it is not just the bone structure and joints that can be affected. Internally our major organs also affected by the inflammatory properties of the disease. Kidneys and Liver. These organs are more likely to be affected by the medication that is prescribed for the condition and along with the digestive system, need to be monitored. The Lungs Fluid collecting (pleural effusion) around one or both the lungs restricts breathing, not only uncomfortable but also can restrict the uptake of oxygen and the removal of waste products. Chest infections are more common in rheumatoid arthritis sufferers and again a regular check-up is important. Deep breathing exercises just for five minutes a day can help keep the lungs flexible and improve breathing but if you find yourself becoming breathless after mild exertion then do go and see your doctor as it could mean that there is fluid around either the heart or the lungs. What are the main causes of rheumatoid arthritis – Is it always hereditary? Apart from antibiotics that obviously both men and women take, there are other drugs and hormonal changes that only a woman would be exposed to. HRT and the Pill have been suggested as a link to the onset of Candida. If you look at a woman’s reproductive cycle and if she starts her periods at 12 – goes on the pill for a few years until she is ready to have children – has 4 babies in 10 years and then at age 50 goes on HRT for 10 years then you will see that hormonally she has been very active as well as exposed to artificial hormone replacement. To my mind this may be one of the reasons why women are more prone to Rheumatoid Arthritis. This is an autoimmune disease where the immune system has lost its ability to tell the difference between friend and enemy hence it is attacking healthy cells in the body. These cells are the carbohydrate molecules in the tissue in the joints. If the patient already has a Candida overgrowth the immune system will be working overtime to protect the body from this parasitic invasion. It makes sense to me that any cells that might resemble this parasite in any form might also get included in the immune systems clean-up operation. I do know that there has been a marked improvement in some of my clients’ arthritis symptoms when they have been treated for Candida. Another area that is not proven, but I have seen some examples of, are where people living outside of their genetic environment and eating a very different diet to their ancestral one, are suffering from rheumatoid arthritis; showing improvement when they revert back to their cultural diet. I worked with two South American clients who had moved to Ireland in their 20’s. Once in their late 30’s, both of them developed arthritis. One of the sisters became so bad that she was on steroids and could barely walk down the road. I worked with her and established what sort of diet she would have had if she had been still living in her own country. After reverting back to the food that she ate until she reached the age of 24, in six weeks she was able to walk and eventually come off her medication. With the agreement of course of her doctor. You have to remember that if you live in a particular environment and your ancestry is based in the environment for thousands of years your body will have adapted to a certain dietary and nutrient requirement based on what is available. If you were to take an Eskimo from his environment 20 years ago before fast food reached his home, and introduced him to a western diet he would have become malnourished and probably ill. His system would have been used to processing fat for most of his requirements – no sugar – no vegetables or fruit but he would have been supremely healthy. Give him what we consider to be a healthy diet and he would fall ill. So environment – changes in diet and stress could cause problems such as arthritis. You might start to notice some stiffness in your finger and toe joints – perhaps just in one. It is common for small nodules to appear under the skin close to an affected joint and this might be one of the first indications of the disease externally. You will find that it is a symmetrical disease that affects the same joint on either side of the body. You might also feel very tired – have skin rashes and some breathing problems as tissue internally becomes affected. As you will have read there are some dangers to your general health if the condition is not corrected. We tend to see the external joint disfiguration but not the internal damage to things like our lungs and heart. Do not regard as a normal sign of aging and dismiss. Go and get it checked out. What are the steps we can take to improve the condition? Obviously if you are under medication from the doctor for arthritis you must not take yourself off these without consulting them first. Also if you decide that you are going to take some of the alternative treatments available then you must also check with them first to make sure that there will not be an adverse reaction. Most of the remedies that I have used personally have not had any side effects but everyone is different. First – rest is important. Do not try and overdo things, as you will feel tired. Having said that there is some benefit in doing gentle exercise, particularly walking and swimming as the stronger your muscles are the less strain on your joints. Moderate exercise will also help your breathing by keeping your lungs flexible and also your heart by exercising the muscle. Again, do check with your doctor before beginning any exercise programme if you are suffering from any disease. There are a number of foods that can cause a problem – Mainly the nightshade family such as raw tomatoes and peppers, aubergines and potatoes. However, I think it is important at this point to return to the Candida link and by association the consumption of refined sugars. I am convinced that this is one of the major causes of this disease and so following the anti-Candida regime is probably as healthy a diet you can have. Avoiding sugars including Alcohol on a consistent basis will make a difference. I am not suggesting that you give anything up for life but certainly for at least 6 weeks to two months while you are effectively detoxing your body, you need to remove processed foods and sugars from your diet. Your body needs as much help as possible so this is where eating a diet comprising all fresh ingredients cooked from scratch is very important. The less industrially produced foods the better. Anti-oxidants. 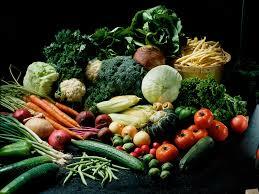 Lots of fresh vegetables – Plenty of fluids particularly water to make sure that you are properly hydrated. A healthy fat diet rich in fish for the Omega 3 is excellent. Use olive oil for cooking and make sure that your diet is rich in vitamin C.
Lean protein and wholegrains provide you with the B-vitamins including B5 – Pantothenic Acid and if vegetarian then do make sure that you are including mushrooms which are an excellent source of most of them. NB. Many therapists will take you off all mushrooms but recent research has identified that despite being a fungus it is not the food of choice for the fungal Candida.. It prefers sugar! Eating mushrooms should have no effect on your Candida levels and I eat them very regularly. One of the Candida posts in the directory has a shopping list which is useful. It does contain potatoes and tomatoes which may have an effect on arthritis but it is only likely if you are eating every day.. I suggest that you remove potatoes, raw tomatoes (I have found less of a problem with cooked tomatoes), red peppers and aubergines for the first six weeks and then re-introduce one at a time over the next four weeks and monitor your symptoms. They are also a wonderful source of nutrients and I am very reluctant to lose them from a diet completely. Eaten once or twice a week, should not cause a problem. I am a qualified nutritional therapist with twenty years experience working with clients in Ireland and the UK as well as being a health consultant on radio in Spain. Although I write a lot of fiction, I actually wrote my first two books on health, the first one, Size Matters, a weight loss programme 20 years ago, based on my own weight loss of 154lbs. My first clinic was in Ireland, the Cronin Diet Advisory Centre and my second book, Just Food for Health was written as my client’s workbook. Since then I have written a men’s health manual, and anti-aging programme, articles for magazines and posts here on Smorgasbord. This entry was posted in Books by Sally Cronin, Smorgasbord Health column and tagged Nutrition Arthritis, Rheumatoid Arthritis by Smorgasbord - Variety is the Spice of Life.. Bookmark the permalink. Your comments about the South American ladies are very interesting, Sally. Since we drastically reduced Michael’s intake of fats and sugars, he has lost weight and his asthma has improved significantly. I’m beginning to see some of these issues, Sally. Rashes, bumps on the skin that come and go, aching knees and hip. Thanks for this, I’ll look into the Candida section of your directory. My aunt had this debilitating condition and was on steroids for years for it. Every time she tried to come off them the pains became worse. Pingback: Smorgasbord Health Column – A- Z of Common Conditions – Arthritis – Rheumatoid | Retired? No one told me! I am sorry to hear that Katie.. I am sure you are in good hands, but I know it is not an easy condition to live with. Pingback: Retired No One Told me! Weekly Roundup…Recipes and Rants… | Retired? No one told me!